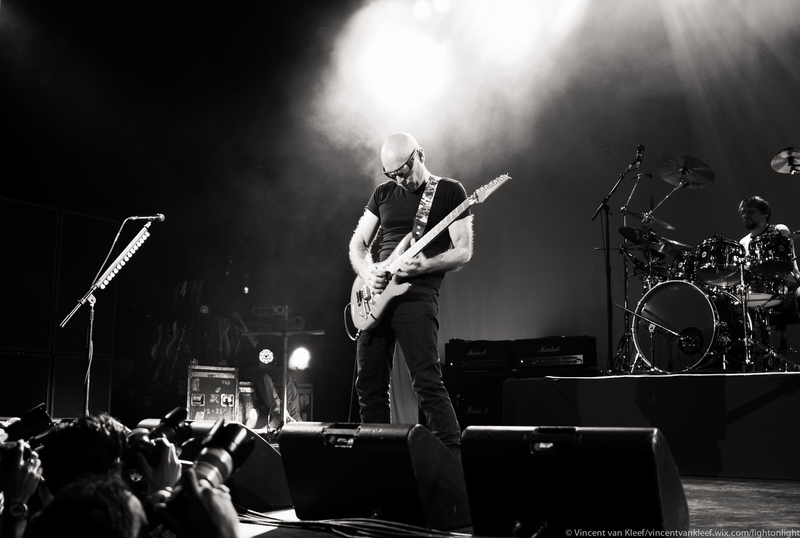 I recently went to a concert of Joe Satriani. I am a music fanatic and a guitar player myself from my early teens on, and this genius is on my musical radar for more than 20 years now. Joe Satriani has the ability to mix unearthly virtuosity with beautiful musical landscapes, as I like to call his compositions. This week I came across the term synesthesia, a condition in which you see colors when listening to music and I have a similar experience with his music.His tunes are very melodic and hummable. I often tell people the story of my daughter, singing his tunes in the back of the car as she was only a toddler. The fan base of Satriani consists not only out of guitarists, but a wide variety people who are just as caught by his music like me. He seems to be a very nice, humble and fun loving guy too. In is fifties now, he does not show any signs of slowing down. As I have listened to his music for so long now, It feels like he has written the soundtrack of my life and continues to do so. This picture is taken while the professional photographers were allowed to take pictures with their ‘rifles’ (as I like to call their big DSLR’s). Luckily only for a couple of songs. I was able to take some good shots of Joe as I had the perfect spot, right in front of him! You can see a few examples in this set of my Flickr photo stream.